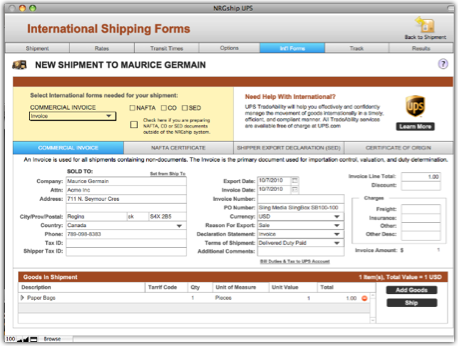 NRG: Mac & FileMaker Shipping Software :: How do I prepare an international shipment for UPS? How do I prepare an international shipment for UPS? 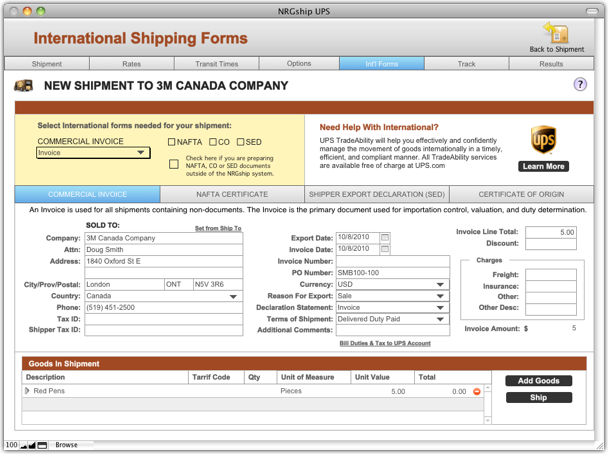 Most international shipments only require a Commercial Invoice. A Commercial Invoice is used for all shipments containing non-documents and is used for importation control, valuation and duty determination. 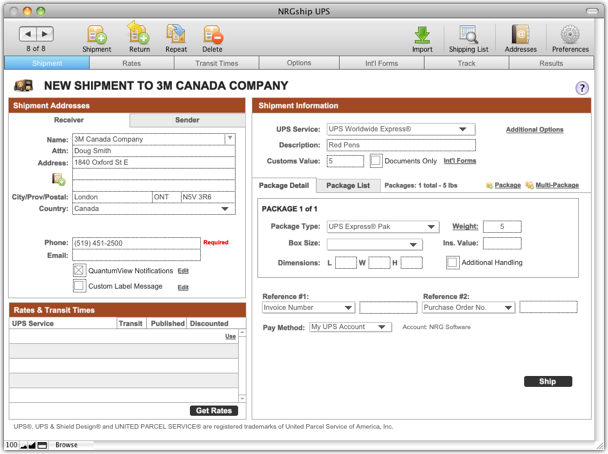 3 copies of the Commercial Invoice will print along with your shipping label. You will need to affix these to your package. You will need to add goods or item information using the "Add Goods" popup window. You can store the item details in Preferences if you ship the same item often. 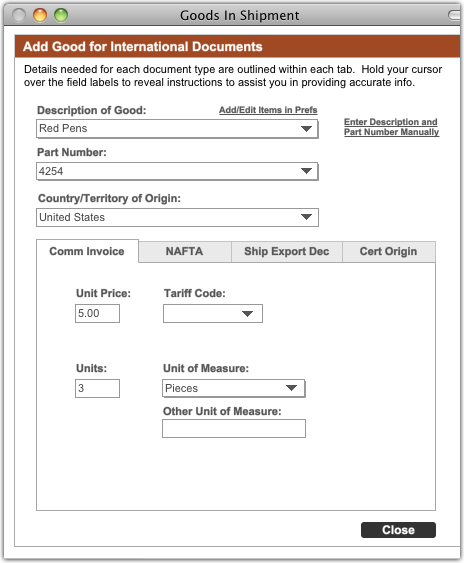 A tariff code is not required. For more details on International shipments with NRGship, review the help files.